I’ve collected a variety of reactions to this year’s weather patterns. Sorry again for being hemisphereist, Australia. Your day will come. 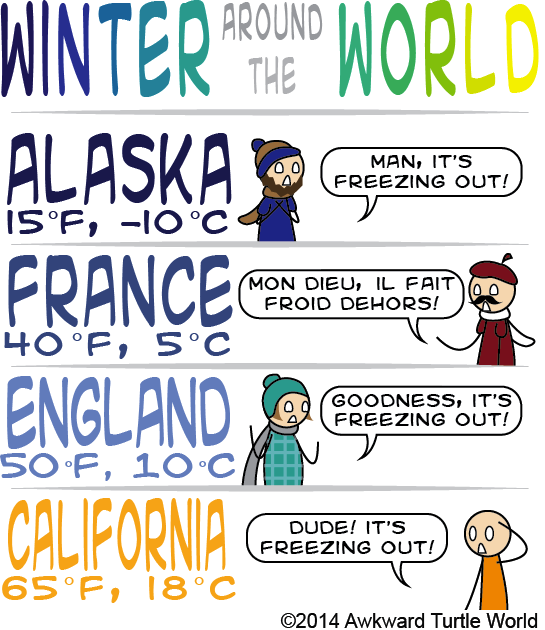 This entry was posted in Comics and tagged awkward, california, cartoon, cartoons, comics, freezing, season, snow, unexpected, weather, winter on January 26, 2014 by zucchinipi.